Jason Weske, Manager at Cradlepoint showcases some of the findings of a management workshop that we hosted. In working with hundreds of successful Sales Managers, we have seen and documented their understanding of sales and sales training being a process, not an event and the most successful sales managers support their team members on that journey by providing on-going sales coaching. Training Managers is a Process too! There are the unfortunate times when some sales managers get excited about a sales training event – a talk, a one-day workshop or even a three-day event, hoping that it will be the magic bullet to help their sales people meet their goals. Those are the sales managers hoping that after the event everything will magically turn black on the balance sheet. While training is truly essential and valuable to an organization’s growth, it will only be effective if the sales managers support the long-term learning process and if they themselves are trained accordingly. Recent studies have shown that it is essential to train sales managers to ensure top performance of a sales team. When sales managers don’t embrace disciplines, how would they be able to coach and guide their teams? Try This on for Size – Don’t Coach to Quota! A widespread misconception about sales coaching is that managers should coach their team to meet quota. While the goal should be to reach (or in the best-case scenario exceed quota) the only way for that to sustainably occur is not to coach to a number, but to continually assess, re-assess, develop and expand best practices in sales team members’ sales skills, strategies and sales behaviors. Honestly, think about it– the sales professionals you really want on your team know when they are behind their goals. They don’t need to be reminded all the time. Here’s an example: if a salesperson is struggling to overcome difficult or unusual objections, she/he won’t be able to learn how to improve by hearing that they missed their quarterly goals. Become better at overcoming objections, recognizing buying signs, and we’re headed in the direction of hitting that golden number, right? And speaking of quarter-end, which seems to be a “Reach-Your-Quota-Frenzy” in many companies: let’s see if we can change that. A radical idea, no? Make deliberate and planned sales training and coaching on-going. Focus on skills development, positive sales behaviors, as well as on pipeline and account development to achieve overall improvement from the VERY FIRST DAY OF THE QUARTER! There will be little need for intense sales rallies the last week of each quarter. And honestly, we see that a “Quarter-End- Frenzy” disturbs the overall sales process and the delivering of top-notch, meaningful engagement. Some sales people become frantic and that leaves a bad impression with the prospects. Sales people can come across as desperate. Desperation is a bad sales agent. Every sales person has unique strengths and opportunities for growth. The same holds true for managers. Before we even start working with a client, we assess the skill sets of the sales team and their sales management. It’s hard to know what to focus on when there is no benchmark. It’s also impossible to gauge success without knowing where we started and where improvement is taking place. To achieve our goal of understanding sales managers’ existing skills and knowledge, we invite our clients to complete the CSCC SALES MANAGEMENT & COACHING-IQTM Skills & Knowledge Assessment. If you want to find out your Sales Management IQ, follow the link below. This assessment is composed of wide range of scenario questions from over 20 years of on-going research and extensive competency and sales behavior modeling, having assessed key performance indicators and best practices of hundreds of top performing sales managers across a variety of industries. Once a benchmark is established, it is easier to pinpoint gaps, identify strengths and areas of improvement and get insights into how to improve performance. The overarching goal is to create a collaborative framework where sales people can succeed and sales managers provide the support necessary to achieve that success. This can only happen when sales managers understand the process, coach their team members individually, and as a group, and follow through with on-going guidance and strategic support. In wrapping, to become a highly successful organization it is key to create a culture of on-going training and coaching for sales team members and for sales managers, front-line as well as higher level management. This will ensure that your organization will continue to evolve and grow, adapting to the changing needs of clients/prospects. Once your company’s goals and vision become transparent and tangible for your team, and is not just a set of numbers, it’s much easier to have honest conversations on how sales managers can best coach their team members towards overall behavioral improvement, not solely toward a number even if that number is significant. When thinking about 2017, I try to reflect on 2016 to see where I might have missed a step and what areas are ripe for improvement. Here’s one of my thoughts. It’s always a challenge to employ effective communications. Anyone who has taken an interest and listened in to this past year’s election cycle would probably agree that effective communication is the key to winning people over. I didn’t say great communication. I intentionally used the term effective, because in the end that’s all that matters. How Are Your Messages Reaching Your Targeted Audiences? When Americans feel angry, for whatever reason, a message that resonates and speaks to that anger will get more attention than political concepts. I am not trying to make a political point here, but what I learned last year watching, Brexit and the American election is that no matter how competent or incompetent you are and how reasonable or unreasonable your arguments might be, they will not resonate if you are out of touch with your audience. And in this spirit, I wanted to pivot to the sales world, and, right, you guessed it, talk about truly understanding and adjusting to your prospects and their needs. I have experienced so many sales people not really listening to and understanding their audiences and not communicating effectively. And therefore, they are far too often ineffective in the way they communicate with their prospects. It’s not what we say, it’s whether we can gain a prospect’s attention and they hear us, that matters. When it comes to sales, it’s of ultimate importance to fully understand our prospect, so we can effectively communicate with her/him. Not everybody communicates in the same way. While some people want to get to the point quickly, others will be solely price driven, other people will want to purchase a product or service which greatly improves what they now have or use and price will not be that much of an issue. And still others are driven by proven reliability and are cost conservative. Understanding those differences is crucial to success in sales. One of the differentiators we need to be aware of is to understand why people make decisions the way they do. We know that human behavior revolves around the need to gain pleasure or avoid pain. Some people are oriented to one more than another. And, unlike other psychologies this will vary based on the decision that they are making. We need to listen to what our customers tell us about past purchase decisions and what triggered their decision to go with one product or service over another. So, What Motivates Your Prospects? How often have you heard others say, “Oh, that buyer is super loyal to their vendor – they’ll never use anyone else”? Probably more often than what researchers have established. Only about 6% of all buyers are truly brand loyal and most likely won’t ever switch suppliers. And then, there are those who are ALWAYS on the move, always the first adaptors. Another surprise, – only about 7% of the buying population fall into this category. So, – What percentage of buyers are willing (to varying degrees) to make a change? About 86/87% – that’s a lot of buyers willing to listen IF (and that could be a very big IF) what you are saying is relevant and resonates with them. Listen and ask questions to deep-dig about their needs, their challenges, how they envision improving their business. Some will say what they want in a forward-thinking manner. Others might share with you what they don’t want or what didn’t work in the past. Don’t forget to listen to the questions they are asking, and how they are asking. Clues are everywhere to help you position your solutions to meet their needs and their way of thinking. Why Do People Make Decisions the Way They Do? A large group of buyers (about 42%) are comfortable with their current providers but are open to a possible change if it truly means efficiencies, or your product/service helps them save time or money, or provides peace of mind/security. Then there is another large group (about 45%) who are very open to change and like to try out new services and product. Make note of their preference and be sure to present changes in your services or products to them first. You can avoid losing them to another provider. So, How Do You Change Your Strategy? Simply put, analyze their approach and then position your solution to match the strategy the customer uses (usually subconsciously) to make buying decisions. In sales, we should employ some psychology to be even more successful. For example, if a buyer tells you what they don’t want or what didn’t work, offer them a solution that removes that risk of failure. Stress reliability and offer examples or testimonials. 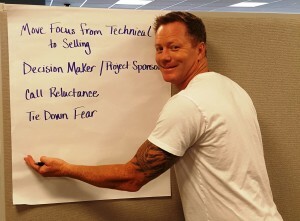 In our Consultative Sales Certification Program (CSC), we help sales and service professionals understand buyers’ behavior, their communication preferences and how to gain the commitments and buy-ins which will lead to success by understanding, among many other elements, the psychology behind purchasing decisions. In essence, coming full circle – one message might be effective for one person and could totally miss the mark for another one. Sales is a complex process because we humans are complex beings. And as I have shared with you many time, in the end, People buy from People! 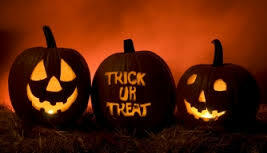 Happy reading and in light of Halloween coming up, Don’t De Scared!! Sales people often carry a conscious or sub-conscious fear of rejection. And on the other side, we often find buyers who are fearful of making a (possibly bad) decision. Ultimately, they would be held accountable if things don’t go well, right? We have repeatedly observed that making buying recommendations or decisions on technology can be daunting for buyers. If they make the wrong decision, they will be held responsible. Not that many people are extremely tech savvy, so decision makers must rely on a sales person to guide them through the process. And it is here where we can shine and build trust. Sales is a business practice that is very personal. There is no other business discipline where performance is a reflection of who you are, other than sales. Whether it’s selling a product or a service, sales is emotional, personal and involves product and technical knowledge. We sales professionals live by how well we perform. That means our livelihood is in the balance every day, every call, every client interaction. Where Does This Fear in Sales Originate? It starts for most of us with the dread of cold calling/prospecting efforts that so many sales people dislike (or are even terrified of). It might be a mindset issue that is keeping us from breaking through to others. Although counter-intuitive, being afraid of success is something fairly common in the business world (or on a personal level). In a sales environment it’s a lot more transparent and easier to detect. The effects are also a lot more drastic, because so many sales people depend on earning commission. 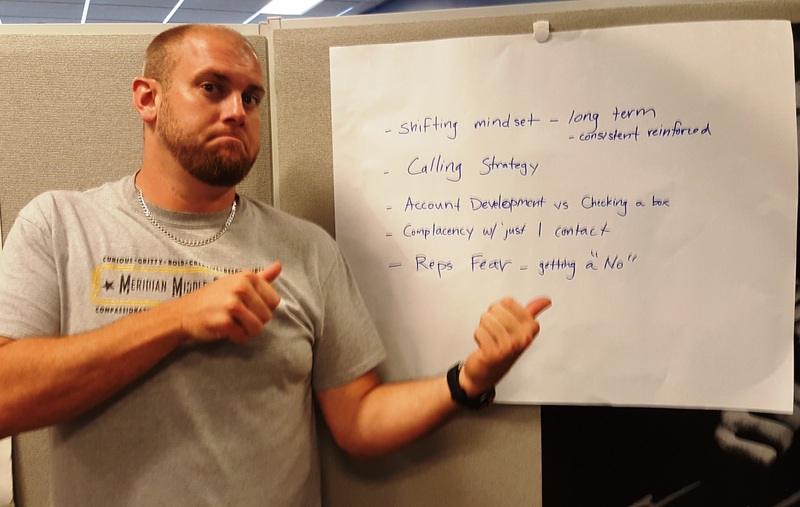 Fear-less Cold-Calling/Prospecting? Is there such a thing? There are various ways to deal with the fear of Cold-Calling. The process can be outsourced, because prospecting is a unique skill set, or you can help your sales people overcome the reluctance of cold calling by providing a framework, structure and training, where it’s easier for them to succeed. Structuring the prospecting process with the right kind of research and providing training are two of a number of ways to reduce the fear of cold-calling. Sales is a process and it’s important to develop a structure within an organization where sales people can succeed. Fear of Asking for the Sale? Not everybody is inherently equipped to ask for money and that’s essentially what we need to do in a sales environment. We are asking people to trust us to part with their or their company’s funds. If our prospects end up buying from us and the product/service doesn’t meet their needs, we will be held accountable for that decision. All of those areas are deeply emotional and directly connected to mindset. A good salesperson can be trained on how and when to ask for a sale that is not fear-inducing! Some questions are tough to ask. The fear of rejection can be a constant. But without asking those questions, we will dance around “commitment”, not understanding whether this prospect is truly interested and willing to commit or is just shopping around. In the world of sales, fear is often irrational. Just as we are not afraid of flying because we don’t like to be up in the air, we are afraid because the plane might crash and we have no “control”. Being aware that the fear is present and just doing what we need to do, is one way to overcome. Personally, I was terrified of flying until I looked at the statistics that helped me understand that it’s still the safest choice. I opted to fly even if I could have driven, just to help me conquer the fear. In sales, we should make as many calls as possible, asking the tough questions to help us getting used to potential rejection, but also realizing that most of the time the outcome will be positive. Help Can Be Right There in Your Team! The most effective way to help sales people be more comfortable in a sales environment is to help them feel more confident. Confidence often stems from having been successful, so when companies establish an environment where sales people are nurtured and trained rather than pushed and reprimanded, success flows more freely. Also, understand what your sales people are good at and where the weaknesses (or as we prefer to say: the opportunities for growth) lie. That is essential when helping them. So, in the end, always try to analyze why your sales people are either producing or not producing. Develop their strengths, and nurture their areas of opportunities through training and support. The investment you make can pay off manifold if you choose training that effects real, lasting behavioral change! We invite to take a tour of our cutting-edge blended e-Learning & Live training program, Consultative Sales Certification Program. And finally, just maybe, some sales people might have talents that are better suited for a different role in your organization other than sales. You might detect that in the way they position your company offering, or in their attitude and/or work habits. You will definitely find out if revenue is lacking. Whatever changes you decide to make to increase your sales revenues, make sure you know your sales staff well. They are your first and foremost representation. We should all shine as sales people, and we should be supported to do just that. And that will result in a lot more “fearless” salespeople! Last month I attended a book presentation hosted by the University of Rochester New York Metro Women. A friend who is an Alumni invited me to this event and I was intrigued, because of the book’s title: “Conversational Intelligence“. Tying in with Conversational Intelligence, today’s blog is a Guest Blog, by my trusted business partner, Marcia Gauger, founder & Chief Learning Officer of DVR Learning and co-creator of our Consultative Sales Certification Program (CSC). I’m sure you have heard about THE DRESS discussion (I personally was on Team White/Gold), but for me, what was really important to understand, especially in a sales environment is that we all digest information in different ways. The recent discussion about THE DRESS that dominated social media for quite some time is a perfect example. Marcia talks about the consequences from a sales perspective. Happy Reading! Truly Understand – Not Just Wait for Your Cue! As a sales person, I am always interested to find ways to be more effective in my communication so I gladly commuted to New York on a snowy day to attend the book presentation of ”Conversational Intelligence“. The author Judith Glaser and I chatted before the official start of the program and I was immediately captivated by the way she views the world. It’s all about listening, really. Understanding what others are actually saying instead of just waiting for a cue to talk. The book is supported by research and it’s still a fascinating read. Judith’s writing added an additional dimension as to why we connect with people and why sometimes our defenses go up. Instead of hearing what a person has to say we listen to a movie narrative in our own head. We anticipate instead of really understanding. But the good news is that there are techniques that we can apply to make a change. I learned how you can move from Distrust to Trust, because when you lose Trust you lose your Voice. For me as a sales person, but also a mother, wife and friend it was an eye opener. If you want to improve the way you interact with other people, if you want to be heard but also be a better listener (and shouldn’t we all, especially being in sales? 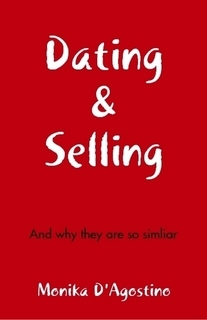 ), buy this book (available on Amazon). You’ve likely heard the recent story or have seen the pictures of the now infamous dress. One snapshot and the debate began, is it white and gold or blue and black? Science chimed in and explained that we potentially see things differently based on the way that our minds filter images and light. But what does this have to do with sales and perception? Quite a bit, actually. The challenge for consultative sales professionals is two-fold. The first challenge is seeing the perceived situation through the customer’s lens. The second is framing a solution that is perceived to align with that individual’s picture of their present state of affairs versus desired state. The risk of misalignment is significant throughout the sales process, especially if the client themselves are looking through a distorted or cloudy lens which is often the case when clients don’t fully recognize the potential need. Why is it that regarding their product knowledge, some of the brightest and most technically astute people cannot sell? We know that if sales professionals concentrate strictly on product knowledge and the technical factors regarding their solutions, they risk missing the filters each client applies – or the “color” in which the customer perceives the solution. Just as individuals may see colors in that dress differently based on the way the mind filters light, individuals also use filters when making business decisions. If you ignore or fail to recognize these filters, your chance of connecting with the client plummets. Luckily, we can identify the most significant filters that clients use when making decisions, and, if applied correctly, the chances of “firing on all cylinders” with the client increases substantially. So, What Are These Filters? The filters presented in this example are absolutely key and foundational to implementing a consultative sales strategy and interaction that is impactful for each client and situation. There even more filters that you could consider, accelerating the risk of not connecting. To apply specific filters for your customer base, we could apply additional psychological factors to the mix such as behavioral economics, generational considerations, financial aspects and other key indicators that you would glean from accurate market research data regarding how your clients buy from you. This example also assumes that the salesperson knows their product information, industry knowledge and can navigate their internal customers, or you could also consider that another variable in the equation, again adding risk. Consider this example, which displays some of the most common filters used in making sales and business decisions. In this example, if the salesperson relies solely on the “story”, which includes their product knowledge and expertise, they have a 1 in 64 chance of completely connecting with the customer. (4 behavioral styles x 4 communication styles x 4 convincer strategies). If they correctly identify and appeal to each filter, then they totally connect both in terms of understanding the customer’s picture and providing a solution that matches. If you miss just one filter, at best the message is mixed and at worst it is completely wrong. You Can’t Force Another Person to Filter Messages the Way that You Do! This explains why salespeople lose opportunities even when the client situation and your solution looks identical to another that a different client may have fully embraced. To top it off, without the knowledge and experience to recognize these filters, salespeople default to their own filters when presenting their solutions to customers, which is taking a gamble that each customer will use the same filters as they do when making decisions. In the example of the “dress”, you can’t control how your brain sees it and that is why some people cannot see the dress in blue/black and others cannot see the dress in white and gold. Hence the debate. If Joe sees it as “A” and Mary sees it as “B”, Joe and Mary may NEVER agree on the color of the dress because their perception is polar opposite. The same is true with sales filters. You can’t force someone to see through your filters or the same set of filters that you are using. You can, however, recognize the filters and adjust your approach to the customer’s lens. Marcia is the CLO of DVR Learning, LLC and co-developer of our Consultative Sales Certification Program (CSC), a nationally accredited sales capability and development curriculum. Marcia has devoted over 25 years to working with sales professionals and managers to enhance sales performance. Marcia has published hundreds of articles on sales and service related issues. Don’t Drive Your Customers Nuts! Always Touch Base with A Purpose! For convenience reasons I have my business account and my personal account with the same bank. And that’s not due to my deliberate choice. My previous bank was “swallowed up” by this much larger bank during the financial crisis a few years. Not a particularly good start to begin with, although it could have been a great opportunity for my bank on record to make a splash. Well, they didn’t (otherwise I wouldn’t be writing this blog). Are Sales and Customer Service the Same? To me, customer service and sales are tightly interconnected. We teach that in our Consultative Sales Certification program. A good number of our clients offer solutions that are often viewed as commodities, such as logistics services, technology solutions, banking. The only differentiator is outstanding customer service, being in touch with your clients and truly understanding and fulfilling their needs. When you don’t serve your customers well, you probably won’t up-sell and in the worst case scenario, you might even lose them. That seems logical, doesn’t it? The other day I got a call from the business specialist at my bank’s local branch. This is a person that I actually know because I approached him a couple of times with questions about on-line banking. Never, and I mean never has he asked me how happy I was with my experience at the bank or if he could help me with anything else other than tactical advice. Do You Do Your Research Before You Pick up the Phone? So, it was to my surprise when my business line rang the other day and that very person, “my” dedicated business advisor, called and wanted to know how I was doing. My first reaction was “That’s nice, they actually care”. That euphoric feeling only lasted a couple of seconds until I realized that he didn’t know who he was talking to. He didn’t connect the dots or didn’t have notes in his CRM system to realize that he had met me on numerous occasions. AND, he had also NOT done his research. A quick look at my LinkedIn page might have triggered his memory – my photo is there. People who have been following my blog know that I write about this all the time. Research, research, research. It’s one of the most important ingredients in successful selling. How are you supposed to add value if you don’t know who you are calling on? Don’t Call Without a Purpose! While a bit annoying, it wasn’t the reason why I am writing about this experience. After a very vague introduction to the effect of “Hi, I am your business advisor at your bank”, there was the general question of how my business was doing and whether he could do something for me. When I asked him what he had to offer, it turned out that he had nothing to offer. How could he? He knew NOTHING about my business! There wasn’t a special promotion, or an offering that would fit my business needs. There was no purpose to the call. One could argue now that it was just a courtesy call, but the fact that he didn’t know who I was in combination with the fact that he knew nothing about my business just bothered me. Don’t get me wrong, it is very nice to check in with your existing customers and just say hello, but only if you actually know them! Where Can You Find the Best Business Opportunities? … Your Existing Customers! I am a customer for crying out loud. Look into your database, check my account history, then check my business and offer me something! If you don’t have anything to offer and you don’t know who I am, you are not only NOT adding value to my day, you are actually interrupting it. Your existing customers are your best source for new business, but there is an art to it. Just calling and saying hello is certainly not the strategy for success. We teach the participants in our training programs to prepare for calls, to do research and to have a plan of action. Even the most senior sales or customer service people shouldn’t wing it. It is so rare these days to get people on the phone, so if they actually do pick up – make it worth their time and make it worth your time otherwise it’s just a wasted business opportunity. Readers who have been following my blogs know that I am very cautious when it comes to C-Level involvement and sales, but that only pertains to day-to-day operations and not the conceptual involvement. Your sales process, your sales training or any other sales related areas will not be successful if the CEO feels that it’s not in line with her/his philosophy or thinking. The most successful sales training programs we have experienced are the ones where the CEO spear-headed, promoted or at the very least approved and supported the program. Sales and sales training cannot be successful if the CEO is not on board. In my experience, most CEOs are strong leaders and are passionate about their company. That’s also a good reason why they are in the position they are in. Being strong leaders and passionate about what their company can do, many also think they are as good at sales as at leading an organization. Though they may be quite skilled at promoting their business to investors, understanding Sales as a discipline is a very different cup of tea. We’ve found that the best way to get buy-in on your sales process is to invite your CEO to a meeting where you present the philosophy (consultative selling, customer-centric selling, etc.) and why you have chosen that approach, along with goals and outlines to support company objectives and goals. Preparation is everything and you need to be in a position where you can support your strategy (if necessary) with case studies (from previous experiences) or data that you have collected. Just to say that you believe in a consultative approach to selling without knowing why will probably not leave the best impression. Graduates of our Consultative Sales Certification Program possess the knowledge and skills to identify personality styles, understand how people digest information and most importantly, how to adjust to most effectively communicate. If your CEO is a strong “D” or Director type, someone very results-oriented, a quick decision-maker, you’ll want to provide top level information, cut to the chase and show how the bottom line will be affected. If your CEO however is more of a “C” or Cautious and analytical, you need to go into more detail, using data to support your claim as to why you want to do things the way you present them. By providing information to your CEO, helping her/him understand the sales process you are a step ahead and more in control. If your CEO has doubts about your sales process, you can talk about it, make adjustments and so you get her/his buy-in. This will help you build trust and allocate budgets and you and your team will share responsibility with your CEO for the outcomes. If your sales cycle is lengthy, make sure your CEO fully understands why. Now is your time to be honest and straightforward. It helps you to build rapport, gain trust and to manage expectations. Don’t paint a rosy picture if there are serious obstacles you are facing. If you have built a collaborative environment and your CEO understands the obstacles and the sales process, you will be more successful working towards your goals together. Most of our clients share a common corporate language. And that lingua franca has become “English”. Even if they are an international organization with offices all over the world, English is the way employees communicate with each other, at least officially. This only makes sense, because it streamlines communication and it is the best way to avoid misunderstandings that can happen during translation. But what about a shared “Sales” language? In a consultative sales environment the language we use is key to the success of an organization. In our work with so many organizations we’ve observed that many companies don’t share a common language when it comes to sales as well as in operations. As you can imagine, this can lead to confusion and sometimes to mismanaged expectations. As a matter of fact, our most successful clients understand that Sales and Operations need a common, shared language. Our clients have successfully used our Consultative Sales Certification Program to work towards that goal. Too many sales leaders use generic terminology when managing their people. They talk about opportunities, leads, closing rates, probabilities and prospecting but they don’t define those terms. When developing a consultative sales process, the terminology should be defined and agreed upon. What is an opportunity vs. a lead? Do you have clients or customers? What are objections and what are stalls? When we talk about decision makers, let’s be clear who the economic buyers are, who we define as influencers or coaches and what audiences we view as the end users. And do these roles change during the course of working for a client, and how can a sales professional effectively influence the decision-maker to mutual gain? The list goes on and on, but the important point is that whenever your sales manager leads a sales meeting and makes reference, everybody in the room or on the phone should be clear on what she/he is referring to. The best way to manage expectations and develop a shared language is to use parameters to establish a term. Let’s talk about opportunity management. I remember times when I was still an outside sales person and our manager would go around the table, asking each sales person to gauge the probability of closing for each prospect in their pipeline. Personally, I am a very cautious, if not a conservative person (at least in sales) when it comes to predicting probability. I am even a bit superstitious and would never predict 100% unless I had a signature. Some colleagues of mine however were more courageous and daring when it came to their pipeline. For them an 80% closing probability was certain when they had a nice chat with a prospect. These scenarios happen where there is no common, defined sales language established. For companies to have a firm handle on opportunity management, they need to have a structure in place that will help sales management and sales people to manage their pipeline. That means that you need to set parameters as to what each percentage means. For example, 80 % closing probability could mean that you need to have had all the decision makers involved, a verbal agreement and proposal that was discussed and agreed upon by all engaged parties. The remaining 20% that are still up in the air could be circumstances still unknown, such as Purchasing demanding different payment terms. One of my clients wanted to use a sports analogy to manage the pipeline. They referred to First Base, Second Base, etc. when it came to pipeline management. There is nothing wrong with being humorous and playful as long as everybody involved understands what those terms stand for. A North American sales manager working with sales professionals from countries where baseball is not a national sport will have people scratching their heads as to what she/he meant. Every company has a different system set-up and the sales cycle in general will determine the details but what is crucially important is that everybody internally knows what 50% vs. 80% probability means. There shouldn’t be any confusion about that. In closing a common, shared sales language is important to avoid miscommunication and confusion. One way to ensure that your language is streamlined is to reflect the parameters in your CRM system. Customize your database so it reflects your “Sales” language and your “Sales” parameters and make sure that only those terms are used during official meetings. You see, whenever terminology is not clearly defined there is room for faulty interpretation/translation. Have a look at the following! KFC, for example, mis-translated “finger-lickin’ good” into Chinese that meant something more cannibalistic. The phrase “We don’t have time for …” is very often used to stall and/or avoid responsibility or just as an excuse to do nothing. There really is never a lack of time. Rather, it’s really a matter of setting priorities. If you feel that you don’t have time to do something important, I invite to re-consider. Are you trying to avoid doing something, or do you feel that the task is not important enough to make it on top of your priority list? This is a really important exercise. In business and in life. 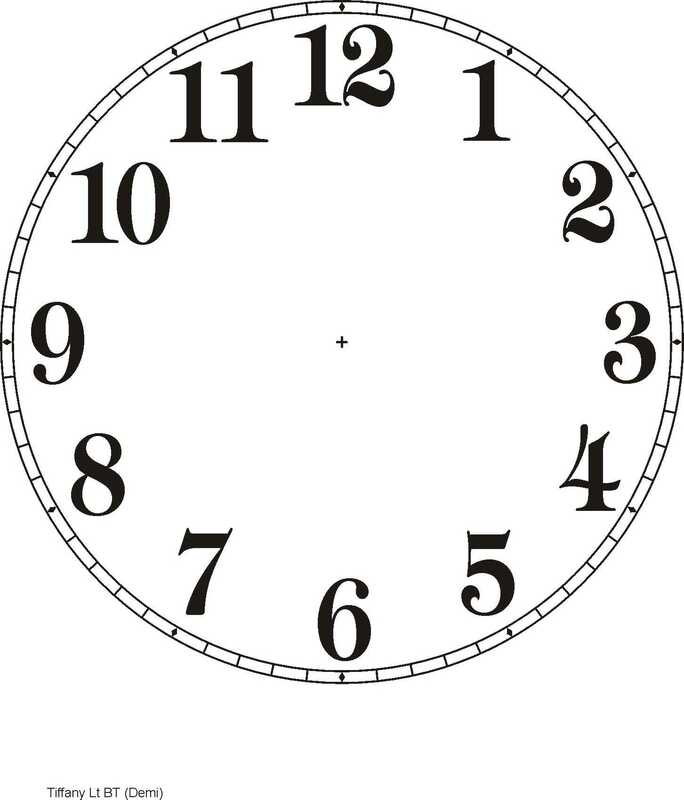 Everyone I know suffers from time deficiency. Our busy schedules, cluttered with appointments and obligations and getting inundated with information through voice mails, emails, social media alerts, Twitter feeds, Instagram, you name it – we’re in overload! Today, for example I decided to clean out my Inbox and unsubscribe from many mailings. Not because the information was useless, but it wasn’t of value to me personally and professionally any longer. Freeing up my time and clearing my schedule gives me an opportunity to add things that matter to me personally or to my professional education. But, let’s get back to the phrase of “We don’t have time for sales training” – this is something we occasionally hear from our prospects when we discuss our Strategic Consultative Sales Certification Training Program. Business Development Is A Priority, Is It Not? I am a deep believer that Business Development should be a top priority for every single organization. Without it, your company won’t grow. But even more importantly for me, is that it should be mindful business development – not just making numbers. Your company should have a growth plan and a goal to gain more profitable customers. I’ve experienced more companies than I’d like to just adding numbers to their revenue stream without looking hard at profitability. No Sales Training = Status Quo, or does it? Our clients are always amazed at how even their top producing business development people develop new and updated insights and get great value from our Training Programs. There is always room for improvement and if we don’t learn, we stagnate, or even worse we regress. Sales is process and it’s hard. We are in the trenches every single day trying to achieve our sales goals. It’s so easy to fall into a pattern without looking up and looking around for new techniques and refining one’s skills. Decidedly, an on-going sales training program gives you an opportunity to regroup, to challenge your thinking, adjust your behavior and develop new skills. Why is it Always the Top Performing Companies Who Get It? Interestingly enough, most of our clients are the ones who are already successful. They don’t really have a problem with business development, but they do want to do better. They continuously seek out solutions that can help them to be more strategic and to grow revenue in a more effective way. They also know that by helping their business development staff be more effective, it will lead to a win-win situation. Their people will earn more and it will lead to more revenue and higher profit margins. Still No Time for Training? Think Again. What people don’t realize is that not doing anything doesn’t necessarily mean that everything stays the same. It means that you are not progressing but your competition might very well be. While your sales people are doing things the way they were done 5, 10, sometimes 15 years ago, the competition is learning to plan strategically, to overcome objections with real value solutions and to close business with clients who fit in with their strategic objectives. Sales and business development has changed in many ways in the last 5 years due to all the social media channels. If your sales people are not kept fresh and up to speed, they will be left behind. Nobody would think that using fax machines to get new business is a State of the Art practice, would they? What is Your Business Growth Worth to You? My health and sanity is worth 6 hours a month to me. That’s the time that I take away from my busy schedule to practice Yoga. It keeps me grounded and it keeps me sane. My business growth is worth 20 hours a week, that’s the amount of time I spend on prospecting, writing articles such as this one and learning about new best practices. Our clients have their sales and account management people spend 4-5 hours a month on learning to become more strategic business development people embracing and utilizing a consultative approach. When they graduate from our program (which usually takes 6-8 months, remember – sales is a process and so is learning) they have grown their business by over 30% on average. A small time investment if you think about it in terms of ROI. So, really, it’s all about priorities. Business Development needs to be a priority, whether it comes to cold calling (schedule time every day), or staying in touch with your customers (plan to do that on a regular schedule) or learning new practices. Not having time means that growing your company is not a priority. And that’s surely not what you are aiming for, is it? As you know, we deeply believe that our Consultative Sales Certification Program provides so many benefits and value to a sales organization. Interestingly enough we share this conviction with a Sales Consultant whose blog you can read here. Are you selling Value or “Stuff”? Happy 2014! Let’s make it count. I hope that you had a relaxing holiday season and you’re off to a great start. Last December we had a prospect meeting and the discussion was about shifting from a commodity sale to becoming more value oriented. It’s a really important shift in today’s business environment where the consumers/customers are more informed than ever and almost everything can be researched online. Are you selling “Stuff” or Value? Many of our clients face the challenge of being in a market where their product or service is considered a commodity. The challenge there is that it is usually a price driven discussion and sales people are trained to commoditize their sales approach rather than selling value. When a company offers a product that is viewed as a commodity, very often sales people feel they need to focus on the features of their service or product only to find out that their prices are undercut by the competition. Somebody, somewhere can always do something similar cheaper. But think about yourself: Most people generally don’t buy features. They buy what they feel gives them the most value for a specific solution. Let me give you a couple of examples. Is It the Way Coffee Tastes, or the Way You Feel When You Drink It? I would consider coffee a commodity. And of course it is when you buy coffee bean futures, but I am talking about buying a cup of coffee and enjoying it. Starbucks, before they broke into the American market figured out that Europeans enjoy their coffee experience. It wasn’t only about the quality of the coffee (although also very important), but everything around it. The smell, when you walk into a Cafe, the way your waiter/barista remembers how you like it, the fact that you can sit and enjoy while you are sipping it. All of a sudden, America went from percolators (so 1950’s!) to signature drinks where it sometimes takes as long to order a coffee (tall, skinny, dry Hazelnut Cappuccino?!) than a meal in a restaurant. What happened? Starbucks changed the way Americans look at drinking coffee. It’s no longer about a brown drink, it’s about relaxing, gathering, enjoying- the VALUE of the entire experience. This approach can be used for every sales process, even when the process has traditionally been viewed as a commodity sale. And your customers will change the way they think about your product/service. One of our clients sells very high-performance tooling equipment. Their products are more expensive than those offered by the competition but the quality of their tools is unmatched. We’re helping their sales people focus on the peace of mind they are selling, the long-term savings in labor and replacement costs, as well as higher production rather than the product features. Their sales people now focus on the value rather than the product features. Quality products don’t break as often, they are reliable and long lasting. When you buy and use them, you don’t have to think about getting a new one for a really long time, sometimes for a lifetime. If your sales people focus on that peace of mind, on long-term savings, talk about the quality and the reliability, then discussions on price will become secondary. Once you lead with features, your prospects will start comparing and then price is the top of mind discussion. Freight is Freight, or Is It? One could argue that freight is freight and market research is market research. Yes, of course it is, but once you launch this tactical approach, talking about the speed of your freight delivery or the accuracy of your market research results, what do you think will happen? People will start comparing your offering with that of the competition and they will start price shopping. If your sales people however focus on the fact that your freight will be in good hands, that once you hand off a project, you don’t have to think about it anymore and all the details will be taken care of, then you are selling peace of mind. The same holds true in the market research/agency world. People are not looking for numbers, as they assume that they are accurate. They are looking for ways to use those numbers to understand their customers better, or to grow their market share. I, for example don’t sell consultative sales training, I sell the way our participants feel about business development. Our graduates look at business development in a completely different way. They learn the skills and concepts to genuinely understand their customer’s needs, gaining more confidence which in turn results in more profitable accounts. We provide our clients with a training program that keeps their employees accountable. They no longer feel that they are sales people trying to get business, but they know that they are consultants who help their prospects be more successful. They add value and when adding value sales professionals are more comfortable asking for business. There is nothing wrong with being more expensive, as long as you have sales people who understand the real value that their customers and prospects are looking for and can communicate it. Own your price tag. As a matter of fact, when I sold services that were more expensive than the competition, I would proudly say. “Yes, we are more expensive, and here is why”. And once again, I wish everyone a great 2014 and GOOD SELLING! Tom, Monika, Marcia, … I want to thank you all for the great sales training program!! I learned so much about how to recognize the behavioral styles of my clients and prospects. This has helped me better adjust my approach throughout the sales process. During the course of our training program, I improved my sales and business development consistently. By the year’s end I was awarded “Most Improved Sales Performance” for 2012! So we thought that we give you a present today, sharing our success story that will provide insight on how one of our clients increased business revenues to pre-recession levels by implementing our CSC training program. One of our clients decided to embark on a mission to provide a cutting-edge sales training program to a select group of their sales team who all work remotely from headquarters. This specialized logistics and transportation solutions provider wanted their sales and account management staff to become top performers, too. Let’s face it, even successful sales and service professionals have some areas to improve. Yet top performers consistently outperform their average counterparts by large margins. In utilizing CSA’s Certified Training Program with a pilot group, our client quickly established that the training program was making a dynamic change in the way their business development professionals were planning and executing their business efforts. Revenues increased, for some in the pilot group by 40% and 50% within a few months. Additionally the members of the pilot group were motivated to go the extra mile for their clients as they acquired new, deeper skills and knowledge in understanding who their clients were, were able to more efficiently and more quickly to develop new business as well as expand business with existing clients. This mindset change began to spread to their operations management. Everybody In – Let’s Congratulate the Graduates! And today, seven months after the kick-off of their program, we can proudly congratulate the first group graduates from our Arizona client’s organization. The program is ongoing for three more groups, each with customized goals and training calendars. Their success of the pilot group is testament to their perseverance and hard work applying the core consultative sales and service concepts to their jobs on a daily basis. These seven certified top-performers can now proudly carry and use the nationally accredited and recognized CSC emblem as Consultative Sales Certified Professionals. And they have a few tips for you below their graduation photo! Stand up and take a bow! These seven certified top-performers can now proudly carry and use the nationally accredited and recognized CSC emblem as Consultative Sales Certified Professionals. From left to right: Tom D’Agostino, Chief Trainer at CSA, Kirk Stauff, Marianne Wilson – Most Improved Employee of 2012-, Yvette Cheesebrew, Ray Torres, Bob Heine, Vinnie Balsamo and Herb Reich. Know Your Market! Prioritize your sales efforts according to potential for sales, not based on current sales. Know Your Customers! Adjust your approach to each of your contacts based on their behavioral styles and role. Ask Questions that help you understand each contact’s vision and pain points. Stress Value based on business impact and the personal win for each individual customer. Position solutions that help the customer save time, make more money, operate more efficiently or give them peace of mind. Anything else doesn’t matter! In utilizing CSA’s Certified Training Program with a pilot group, our client quickly established that the training program was making a dynamic change in the way their business development professionals were planning and executing their business efforts. Revenues increased, for some in the pilot group by 40% and 50% within a few months. Additionally the members of the pilot group were motivated to go the extra mile for their clients as they acquired new, deeper skills and knowledge in understanding who their clients were, were able to more efficiently and more quickly to develop new business as well as expand business with existing clients. This mindset change began to spread to their operationsmanagement.